The catalyzed and uncatalyzed preparation of ethyl levulinate from levulinic acid and ethanol is presented. 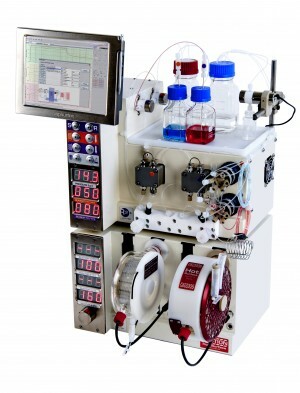 In the case of acid-catalyzed reactions, conditions were optimized in batch using microwave heating and then scaled-up using continuousflow processing. Both p-toluenesulfonic acid and sulfuric acid were used as catalysts, the latter proving most amenable. 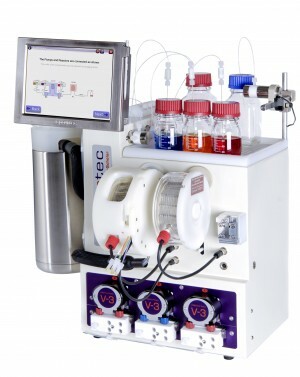 For the uncatalyzed reactions, all reactions were performed under continuous-flow conditions, using apparatus capable of operating at high temperature and pressure. Optimal conditions for the uncatalyzed process required heating a 3.6-M solution of levulinic acid in ethanol at 270 °C with a residence time of 30 min.